Clark Seif Clark provides testing and consulting services to identify microbial pathogens in healthcare settings and other sensitive environments. All types of microbes have the ability to potentially develop resistance to the drugs created to destroy them, becoming drug-resistant organisms. Antimicrobial resistance (AMR), as defined by the Centers for Disease Control and Prevention (CDC), is the ability of microbes to resist the effects of drugs – that is, the germs are not killed and their growth is not stopped. These pathogens can be found in the environment in the air, water, soil and on surfaces, as well as in or on people and animals. 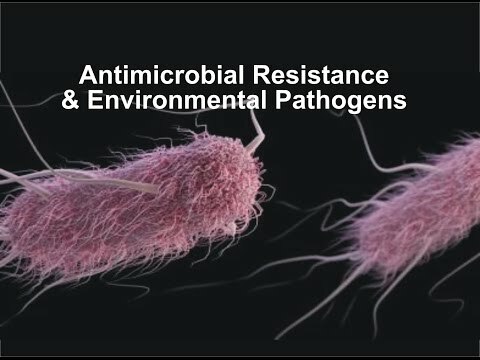 All types of microbes have the ability to potentially develop resistance to the drugs created to destroy them, becoming drug-resistant organisms. Although antimicrobial resistance through genetic changes can occur naturally over time, the World Health Organization (WHO) reports that the misuse and overuse of antimicrobials is accelerating this process. Just a few years ago, the agency reported that antimicrobial resistance is an increasingly serious threat to global public health that requires action across all government sectors and society. It also proclaimed that antimicrobial resistance threatens the effective prevention and treatment of an ever-increasing range of infections caused by bacteria, parasites, viruses and fungi. To help in these efforts, CSC offers testing and consulting services to identify environmental pathogens in hospitals, long-term care facilities, and other institutional and commercial environments. These services can help prevent the outbreak of disease and are instrumental in confirming the effectiveness of cleaning and disinfection procedures in these facilities.